Lately I have been contemplating the question, “How can massage and yoga work together to help us heal?”. This has lead me to think about the role of touch in the health and healing. As a massage therapist my job is to create an environment where my clients feel safe and relaxed with my touch; an individual on my massage table should always feel like they are the one in control. In massage, touch plays the role of a tool in a tool-belt designed to help us journey towards a healthful relationship with our body. Massage can be used as a tool to decrease a muscle spasm, scar tissue and pain, and during the last year I have also seen massage used to help Alzheimer’s patients return to a sense of self and aid anxiety sufferers in feeling control over their symptoms. Massage with a trusted therapist can be an experience of healthy and safe touch. As adults we may experience less touch in our lives than we did as children, and therapeutic touch can be an important part of experiencing our bodies. When I practice yoga at Queen Street Yoga my adjustment card is most often turned to the “Yes” side. I welcome the yoga teacher’s touch to help me adjust my pose and experience new sensations as my muscles, nerves, tendons and ligaments move in new ways. The adjustment cards allow me to feel in control and therefore gain the most from my experience in the studio. My experience of the role of touch in yoga is as a support; the yoga teacher’s touch helps me feel safe as I pay attention to the experience of my body. If you have attended a Rest & Renew class at the studio, you may have tried out some simple self-massage techniques at the beginning of class. Self-massage is a great way to learn about how different muscles and tissues respond to pressure and palpation. It is also a simple way to stay in a conscious relationship with our body, even on days when we are busy and can’t make it outside for a walk or go to a yoga class or do some other movement. Here are some ideas for self-massage you can try on days such as this. If you are experiencing lethargy and trouble getting up and moving in the morning, try a stimulating and brisk self-massage such as tapping along your collarbone using your fingertips. You could also perform “pincement” on yourself by quickly and lightly pinching the skin or “cupping” by creating a cupped hand and tapping the hand along the skin. If you are experiencing tight forearms and sore wrists from time spent at a computer try using your thumb and first two fingers to roll the skin along your forearm and then massage the muscles by creating small circles and applying pressure with your fingers working from your elbow down to your hand. As we learn to experience our body in new ways in the yoga studio, through movement and self-massage, we might then move to the massage table to expand the experience of therapeutic touch. Massage Therapy is the next natural step after self-massage. A Massage Therapist can access certain spots that self-massage might not be able to get at, or use precise massage techniques that, for example, help a muscle spasm decrease or promote digestion by helping your nervous system signal the secretion of digestive enzymes. Of course, massage therapy also lets you relax as the therapist does all the work! In your next yoga class I encourage you to ask yourself how a massage therapist’s touch could help you with some spots in your body that may not be as relaxed as you would like. Perhaps a massage after a yoga class can help you extend the relaxation you attain in class to life outside the yoga studio. The massage table is a wonderful place to let your body and mind absorb the knowledge gained in a yoga class in order to transition this wisdom to our everyday lives. 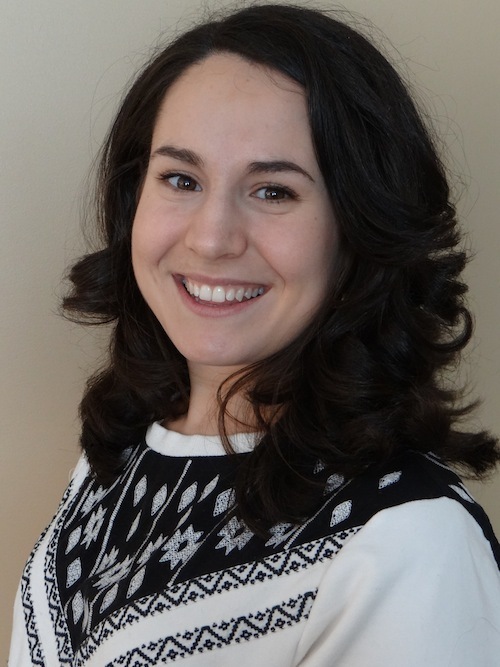 Katerina Garcea is a registered massage therapist (RMT) who is passionate about helping others discover how they can use massage therapy to improve their own health and wellness. Whether you are benefiting from the preventive or rehabilitative aspects of massage therapy, Katerina is eager to accompany you along your path towards healthy soft tissue including improved range of motion in your joints and decreased stress and pain. Katerina enjoys cooking and hiking and spending time with her cat, Rupert. Her favourite summer activity is to attend the Hillside Music Festival at Guelph Lake.